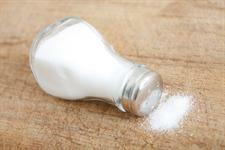 Sodium is the part of salt (which is also known as sodium chloride) that is bad for you if you consume too much of it. The sodium part of salt is involved in muscle contraction including heartbeat, nerve impulses, and the digestion of body-building protein. It is also responsible for regulating water balance in the body. The chloride part of salt is important for acid balance in the body, aids potassium absorption, and enhances the ability of the blood to carry carbon dioxide back to the lungs. How are bakers reducing the amount of salt in their bread? Bakers have made significant reductions in the amount of salt that is in bread over the last decade with around a 10% reduction just in the last three years. Since the 1980’s the salt level in bread has been reduced by 40%. Salt levels in bread met the target agreed with the Food Standards Agency of 0.43g per 100g (1.1g salt) of bread by 2010 and then the 2012 target of 0.4g (1g salt) per 100g of bread which was set by the Department of Health. Discussions about any future reductions are ongoing, but average levels of salt in bread are already far lower in the UK than in most ofther European countries.